Mr. Nguyen joined Churchill Management Group in 2016. 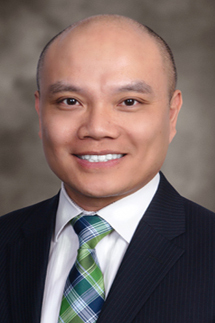 Mr. Nguyen’s financial experience includes working as an Investment Consultant for TD Ameritrade for four years. His most recent position prior to joining Churchill Management Group was for the wealth management division of Bank of The West as their Wealth Financial Advisor for Southern Nevada region. Mr. Nguyen graduated from DeVry University Long Beach with a Bachelor of Science Degree in Telecommunications Management.